Arizona and Utah are home to some of the most breathtaking landscapes in the world. These states’ magnificent red rock formations, their exotic desert life, and their dramatic canyons make Arizona and Utah a truly magical holiday destination. Beyond their dramatic landscapes, the confluence of the Native American and “the old west” heritage is also a compelling reason for a visit to this part of the southwest. Don’t forget the near perfect climate. With sunshine almost every day you are sure to find your Canyon experience a remarkable holiday. Travac Tours wants to send you to Arizona – as well as its neighbours, Nevada and Utah – for ten days of exploration, relaxation and excitement. You’ll fly to Las Vegas. From Las Vegas, you will travel north to Canyon country with visits to Zion Nation Park and Bryce Canyon. You’ll then move on to historic Flagstaff before visiting the world’s most recognizable geographic feature, the Grand Canyon. Your last stop will be in Phoenix. Travac’s Arizona Tour includes airfare from Ottawa, visits to Valley of Fire state park, Monument Valley, Antelope Canyon, Bryce Canyon, Zion National Park in Utah, and the Grand Canyon, all accommodation and transportation, and a stop in the city of lights, Las Vegas! This popular holiday is sure to sell fast, so reserve your seat early! Flights from Ottawa to Las Vegas. Transfer to your hotel. The balance of your day is at leisure. This morning we will make our way to The Valley of Fires State Park. This, the oldest of Nevada’s state parks, derives its name from the red sandstone formations shaped by shifting sand dunes some 150 million years ago. There will be plenty of sightseeing opportunities and photo stops while in the park. This afternoon there will be an optional visit to Hoover Dam. After breakfast you will make your way to Zion National Park. This park is known for its spectacular cliff and canyon landscape and is a favourite among visitors. Your overnight stop will be in the picturesque town Springdale, Utah. This morning you will make your way to Monument Valley. Monument Valley was made famous by film director John Ford in several of his western films. John Wayne appeared in a few of these films. Many locals still recall his engaging personality. From Monument Valley you will travel to Flagstaff for your overnight stay. This morning you will visit the Grand Canyon’s southern rim. The Grand Canyon is arguably America’s most famous natural feature. With elevations in excess of 7,000 feet your canyon visit to the south rim will offer you an unparalleled sightline of this gorge. Your overnight will be in Flagstaff, Arizona. Changing pace today, your tour will take you to Sedona. Sedona has been referred to as one of the most beautiful places in America. 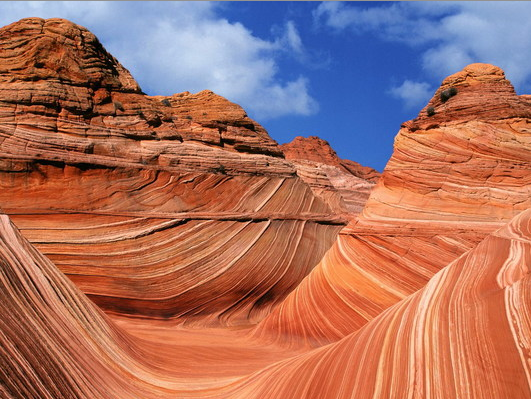 It is characterized by its red sandstone formations. You will have ample time to explore this quaint town, which is also known for its artisan shopping. Enjoy a leisurely morning before heading into Phoenix. Phoenix is the capital and the largest city in Arizona. Also known as the “Valley of the Sun,” Phoenix enjoys a subtropical desert climate, making it a most enjoyable city to spend time in. Once in Phoenix you have a short orientation tour of this magnificent city. This morning you will visit the Desert Botanical Gardens. These gardens host one of the finest collections of desert plants in the world. It is an opportunity to view 139 rare, threatened and endangered plant species from around the world. Your tour director will advise you of the departure time from your hotel to the airport. Total price including all taxes. Double occupancy: $3448 per person ($2989 per person based on double occupancy + taxes $459.00). Stays in: Las Vegas; Springdale; Page; Flagstaff; Sedona and Phoenix.